I am in complete denial that I am writing this…but somehow, I only have 10 days left in Brazil. These last few weeks have been really difficult for me. Like, really difficult. I’m pretty sure I have cried more in these last couple weeks than I have in my entire life. Emotions are truly running high. How do you say goodbye to a country that has shaped your views on the world? How do you say goodbye to people that have formed such an integral part of your story? How do you say goodbye to a church that has welcomed you as one of their own? Why is there even the word “good” in “goodbye” anyway? There is nothing good about leaving people you love, leaving a place you love. Well I guess, the ‘good’ is that I get to go back home and see other people that I love, and return to another place that I truly love. My head is a mess because thinking about leaving Brazil brings me to tears every single time without fail. Yet, thinking about going back home and being able to give my family the biggest hugs they have ever had and just shower them with all the love and affection they have missed out on this last year makes my heart so happy. It’s just so hard that going home means I have to finish this chapter of my story. What a fantastic chapter it has been. Brazil has blessed me abundantly and this experience has helped shape me into the person that I know God is creating me to be. Since my last update, I have been insanely busy! I have a heap of stories which I would love to document, but since I’m so close to the end of my time here, I think I might have to keep the majority of them until I get home. I would like to write about one night that truly gave me a reality shock as to what life is really like for the children I work with. Last week, eleven teenage girls from the church plant where I work stayed at my house for a sleepover. These girls all live in the neighbouring comunidade/favela, and the living conditions that they are coming from are horrifying, and the situations they face every single day are heart-breaking. It was so nice to have all of them over at our house to have fun. To just let them be kids. We ended up playing a game called ‘Gato-mia’, which I am still confused by to this day. It is kind of like hide-and-seek, only all the lights are off, and if you find someone you have to touch them and then said person says meow, it is then your job to guess who said meow, and if you guess, the game is over and everyone starts again. I was beyond confused and did my best to stay out of the way so I wouldn’t get caught, however during one of the rounds, I found one of the ‘teenagers’ (a 10-year old girl) shaking with fear. I asked her what was wrong and she told me she was really afraid of the dark, so I took her to the living room and sat her on my knee and gave her one of my special ‘Katelin cuddles’. After about 10 minutes or so, the game was over and someone turned the lights on and I realised that my t-shirt was soaking wet with her tears because she was literally sobbing in my arms. Shortly after, she got up to go to the bathroom and I followed her so that I could have a word with her when she was finished. I sat her down in the office and asked her why she was so scared of the dark. She told me that in the dark she starts to think of things, and so I asked her what she thought of. She told me that she thinks about ‘those men’ coming to her house to kill her family. Now in my innocence, I thought, she is just like any other child that simply suffers from bad nightmares. However, upon talking about this to my Pastor, he informed me that her dad was assassinated in front of her. No child should have to see their family being killed, but unfortunately that seems to be the ‘norm’ for these children. After I had a chat with the little girl, she calmed down and returned to the group, but shortly after that, I started to fade and decided to head to bed (only lasted until 2:30am but in fairness, I had been at a conference the entire week before). However, I got an absolute shock when I woke up at 7am to find the little girl IN MY BED SLEEPING BESIDE ME. 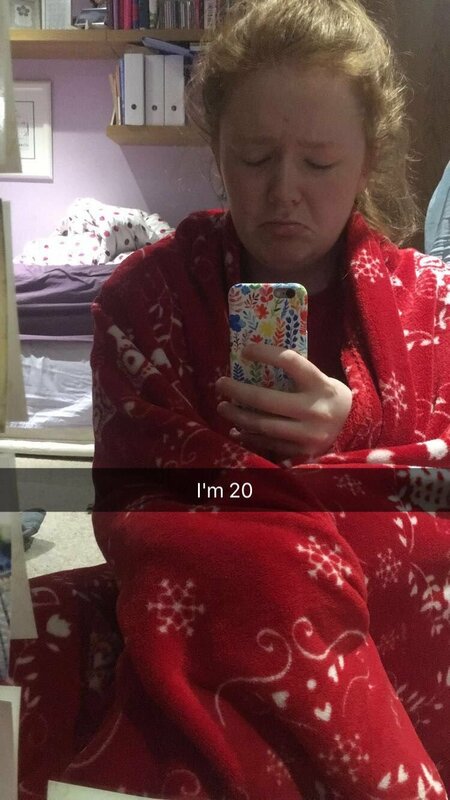 I didn’t know what to do because all the UK child protection policies were running through my head and I was thinking I was going to end up in jail, but all of the panic must have taken its toll on me, because next thing I knew, it was 9:30am and the girl was STILL SLEEPING IN MY BED BESIDE ME. I got myself ready, and then woke her up and she quickly scurried out of the room like a little mouse. Patricia (one of the other volunteers at the project) had a word with the little girl to ask her why she had slept in my bed, and told her that she needed to ask my permission before doing something like that. The girl told Patricia that she wanted to sleep beside me, because when she is near me, she doesn’t feel scared. That when she is with me, she feels safe and even when its dark, she can see a light inside me which makes her fear disappear. I was SPEECHLESS. A 10-year old girl can see the light of Christ shining through me. I don’t know why I’ve been called here to Brazil. I trust that God has a plan in this and that he will begin to reveal this plan to me in His time. What I do know is that I am here to show love to people that really need it. To share this abundance of love that God pours over me with others, because this love isn’t for me to keep. I am here to comfort children that are traumatised. To wipe the tears of the child who is crying in my arms week after week because she just wants to go to heaven and see her family members that have passed away. To play. To smile. To laugh. To learn how to love, and to be loved. Have I made an impact on Brazil? Probably not a massive impact no. Is there still corruption? Yes. Are there still children and adults that are suffering abuse? Yes. Are there still people dying every day as a result of violence? Yes. But are there now kids who understand that there is a God out there that loves them? ABSOLUTELY. Has Brazil changed me? More than you will ever know. This desire that I have had in my heart my entire life just to be loved and accepted is gone, because I now understand and truly believe in my heart that I am already loved more than anyone ever could by the creator of this world. What does the future look like? I don’t know. Life is like doing a jigsaw without the box to help. The best place to begin a jigsaw is to have the solution, normally the picture on the cover of the box. It gives you an idea of what all the pieces are meant to look like when completed. However, God doesn’t give us the box. He doesn’t give us the solution or the outcome. Every piece of the puzzle represents every little adventure, every lesson learned, every tear, every smile. To us, the jigsaw looks a mess and we can’t make sense of what it’s supposed to be, but God has the solution and sees it coming together. God isn’t going to give us the answer, he wants us to have FAITH. He knows that we couldn’t handle seeing His bigger picture for our lives at this point, and that is why he reveals it slowly. Piece by piece. I know every adventure is another piece of the jigsaw, and that ultimately God’s vision for my life will become clear, but at this point I am more than satisfied in knowing that God has a plan for my life. I don’t know what the plan entails, or where in the world it will take me, but one thing that I am certain of, is that God has my life in His hands and that His plans are greater than any I would ever have for my life. Okay so, Brazilians are simply amazing. Never in my life have I felt as welcomed somewhere as I have here in Brazil. I arrived here in São Paulo knowing one person (shout out to Verna), but within a couple of weeks, I had dozens of Brazilian friends, many of them who will without a doubt, be friends for life. I was invited into people’s homes, people’s celebrations, and into people’s hearts. I have honestly never felt so loved and valued in my life as I have here in Brazil. In the UK, I feel like we do tell people that they are valued and appreciated, however this is normally in the form of a nice card, letter or a heartfelt Facebook/Instagram post. On the other hand, in Brazil, upon meeting someone face-to-face, you literally get SHOWERED with compliments, hugs and kisses. Side note: what other nation would give a Gringa (foreigner) 8 birthday cakes for her 21st birthday!? So, to sum up…Brazilians are great, and to any Brazilians that are reading – I appreciate you so much and know that you are so very loved. Feijoada. Coxinha. Tapioca. Requeijão. Açaí. Farofa. Pão de queijo. Pastel. Batata palha. Fricassê. Baião de dois. Beijinho de coco. Panquecas. You know that we British complain all the time about weather, right? That’s because our weather is always terrible, but it gives us occasional glimmers of hope. Maybe just for a few hours of a day in summer, we’ll have a nice weather. Then it’s raining and freezing again. Brazilian weather is honestly something else. When it’s hot, it’s hot (and yes, I do get burnt) but there is nothing better than the feeling of the Brazilian sun on your skin. At the minute, in Brazil, it is currently winter, and whilst the Brazilians are all wrapped up and shivering, I’m walking around in a short-sleeved t-shirt with no trouble, so it is never too cold. The only problem is that it’s 15o outside, and inside the houses there is no central heating. As a result, many times, it ends up feeling colder inside than outside. So, for those of you that don’t know, churrasco = BBQ. However, if a Brazilian were to see our UK BBQs, they would be absolutely horrified. I once told some friends that our BBQs consisted of hotdogs, burgers and chicken and they were left speechless. There is nothing better than a Brazilian churrasco. Since trying it for the first time, I am convinced that Brazil’s meat is the best in the world…and Brazilians are the best at cooking meat in the world (sorry Daddy). My time here has been so precious, but things haven’t been plain sailing. I managed to survive my first three months in Brazil without crying at all, which is a massive achievement for someone who generally cries a few times a week when at university. However, as soon as May hit, the floodgates opened. One minute I was crying because it was my dad’s birthday and I missed him a lot, the next I was crying because I wanted to go home, then I started crying because I was so completely exhausted, the next minute I was crying because it was my mum’s birthday and I was missing her, then I was crying because I had to renew my visa and was scared that I wouldn’t be able to and that I would be deported and have to go home to Northern Ireland. It’s funny how within three days, I went from crying because I wanted to go home, to crying because I was scared that I would be forced to go home 3 months early. A lady from my work was praying for me the day before my mum’s birthday, and she asked if she could pray for my mum and I told her that that would be wonderful. She began to pray a prayer of strength and comfort for my mum which was amazing, but what she prayed afterwards opened the floodgates once again. She prayed that in those moments where my mum was feeling in need of a hug from me (or vice versa), that she would remember that God has just borrowed me from her for 6 months to give hugs to children that don’t have mums, or that don’t know what it feels like to be loved. That mentality changed EVERYTHING. It was in that moment when I was reminded that I have been called here for a reason. I was reminded that God has a perfect plan for my life, and this experience in Brazil is part of that plan. In those moments where I feel so overwhelmed with the work I am doing, I praise God because he knows I am capable of it, and I know he wouldn’t have called me to do this work if he couldn’t get me through it. I have been much more emotionally stable this month thank goodness. Well…apart from the fact that I broke down on the metro on Monday with Verna when I was telling her about all the things I would miss when I got back to the UK. The thought of leaving Brazil gives me a sick feeling in my stomach. I know that saying my goodbyes will be impossible, and I think it would be wise for me to stop talking about leaving because I can feel the tears pricking my eyes just thinking about it. What else has happened since my last update? Well, I have now been in my host family’s home for about a month and a half and it has been such a blessing. I am living with the Pastor of my church and his wife Regina, however their two grandchildren Aline (4) and Gabriel (2) are always in the house in the afternoons so peace and quiet doesn’t really exist here. When I’m not working, I spend my day watching Peppa Pig in Portuguese, singing “Touch the Sky” from Brave in Portuguese, playing, dancing and acting as a human climbing frame. Aline comes out with the funniest things and so there is never a dull moment when she is around. One day, I was on FaceTime with my parents, and Aline walked into the room. I explained to her that the people on the screen were my parents and she wouldn’t believe me. Nonetheless, she was completely fascinated by my dad (who knows why!!! ), and kept asking him to make stupid faces. One of my friends here in Brazil bought me a little birdcage for my birthday with a note attached explaining that the cage had to stay open as a reminder that God made me to FLY. One day, I was doing some uni work in my room, and Aline sauntered on into my bedroom as she always does and climbed up onto my bed. She spotted the birdcage hanging above my bed and instantly tried to close it. I tried to tell her that the door had to stay open, but she wouldn’t listen and confidently replied “No Keite, I have to close it because if it stays open the flies will get in”. I couldn’t argue with her logic, so I allowed her to close the birdcage...but I obviously opened it as soon as she left my room. A G A I N (for the 3rd time on my Year Abroad). When Aline saw me yesterday, she asked “Keite where has your voice gone?” and so I told her that I had lost it. She replied saying, “But Keite, you had your voice yesterday at my birthday party…MAYBE YOU LEFT IT AT THE PARTY! You have to go back there and look for your voice Keite because you need your voice so that you can talk to me and play with me.” Children are precious gems and I will never tire of hearing the little things they come out with. This last month I have been stretched further than I thought I could be stretched. I arrived here in Brazil with an ok level of Portuguese which allowed me to communicate when I had to, but now, whilst I am still making mistakes (which is completely normal and acceptable), I am speaking without thinking and with so much more confidence. Last week, I actually gave two 15 minute talks in Portuguese. Now that is something I have never done before in English, so in Portuguese, it was a real challenge but I succeeded. On the street team, I have had some incredible conversations with children. I am going to post a link to a video I created for my church about a little girl I spoke to called Ester at the bottom of this post, so feel free to read if you are interested. In the church plant, all the classes are going really well. The highlight of my week is always Friday night at the church plant. I am teaching a Kids Church class of kids ranging from the ages of 1 to 7…so it is challenging to say the least, however it is so rewarding. This term, we have been learning about Jesus and some of his miracles, so last week I asked the children if they could remember any of the miracles we had looked at. Much to my surprise, they remembered every single one of them. Even despite my somewhat ropey Portuguese, they are hearing, learning and understanding about Jesus’ love, which makes my heart so happy. A new little boy called Vinícius came to the Church on Friday night, and at one point, we were discussing about how it’s really good to say thank you to God for all the things we have in our lives. Vinícius then said, but I don’t have anything, I spend all day living on the streets. I completely froze, but then I said, “Do you have family?” and he said that he did, then I said, “Do you have friends?”, “yes” and at this point a smile started to appear on his face. Then I said, “and look at this beautiful smile you have, you have to remember to say thank you to God for giving you that lovely smile on your face and for making you BEAUTIFUL.” By which point, little Vinícius and the other children in my class were all sitting with the biggest smiles on their faces. I am so thankful that God has INVITED ME to be part of what is going on here in Brazil. This experience is changing me from the inside out and I’m loving this better version of Katelin that He is turning me into. So somehow, I have been in Brazil for two months and I’m not really sure where the time has gone. I have honestly enjoyed every single second of my time here and I can’t wait to see what adventures and challenges the next four months will bring. The work I am doing here is hard. Really hard. Not physically or mentally, but it is emotionally draining. Hearing the stories of the street kids and seeing the circumstances in which they live, mixed with working with the children from the community and seeing them beating each other up inside the church because that is the way that they have been raised and it is all they know. I am here in Brazil to show them what love is and to shower them with it. It has been such a long time since I’ve done an update so I think this is going to be a long post but stick with it! So Papo de Responsa is the name of the street team that I work with every Tuesday in the centre of São Paulo. 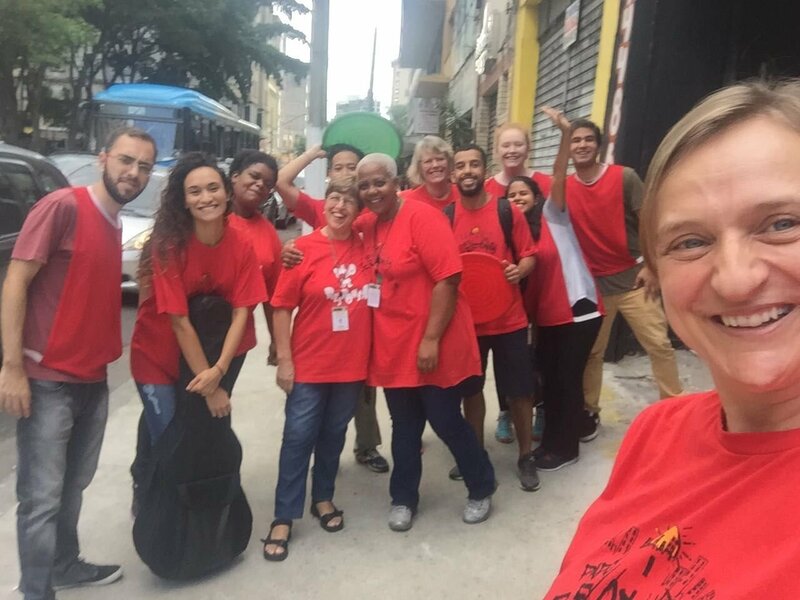 Half of the team goes to an area of the city called Cracolândia (Crackland) and the other half goes to work with children and adolescents that live on the streets in the centre of São Paulo. Every Tuesday, we meet up in a Church before going out to the streets in order to have a time of worship, prayer and devotionals so we can be properly equipped for going out to work with the people living on the streets. I am always on the team that works with kids and young people, which suits me perfectly. We sit alongside the kids/adolescents right there in the middle of a busy street in the centre of São Paulo. We play games, sing songs, chat and simply try to help them see that they are valuable and loved and that there is a better life for them off the streets. Before coming to Brazil, I assumed that the work I did in Guatemala would have fully prepared me for working with street kids here. Boy was I wrong. In Guatemala, I worked mostly with children from the ages of 6-12, whereas here, the “kids” are generally over the age of 13. In Guatemala, the kids were affected massively by drugs, because they were surrounded by them, but they weren’t users themselves. Here on the other hand, the majority of the teens that we work with are users, and will sniff solvents/chemicals the entire time we are with them on the streets. One thing both sets of children have in common is that they live on the streets, they have been discarded by society and are viewed as nothing more than rubbish. 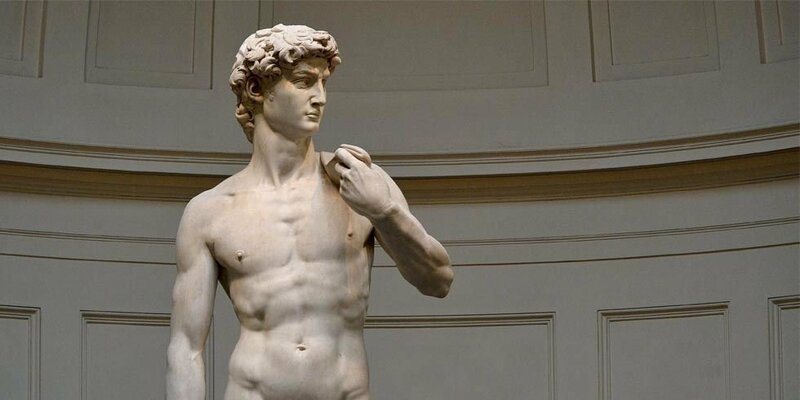 There is a very famous work of art in Italy known as “Il David” by Michelangelo (pictured above). It is by far one of the most impressive sculptures that exists in this world, but I think the story behind its creation is far more impressive. Michelangelo made this sculpture out of a piece of marble that had been worked on, and subsequently rejected by several artists, including Agostino di Duccio and Antonio Rossellino. Agostino abandoned the project after doing only a little work, mostly roughing out around the legs and then Antonio Rossellino was hired to take over the project in 1476, however, he backed out almost immediately, claiming that the marble was of poor quality. The work that had previously been carried out by di Duccio and Rossellino meant that every other artist that looked at the marble saw it as completely useless. A piece of marble which stood at four metres tall, with a big hole cut out of the centre was viewed by so many as impossible to work with. Then, 26-year-old Michelangelo came along and he accepted the challenge and was given two years to complete the sculpture. He spent the next few years locked away in hiding, moulding this image. He didn’t let a single person see his masterpiece until he had finished. He ultimately created one of his most famous pieces of work from a block of marble that had been REJECTED by the world. 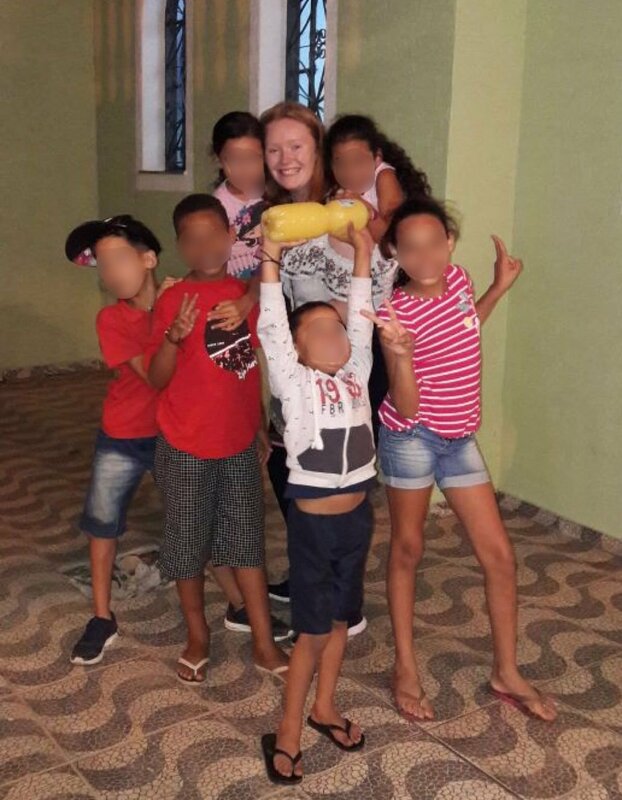 These kids that I work with here in Brazil have been completely rejected by society. People walk past them and pretend they aren’t there, they don’t even smile at them. They walk on the opposite side of the street looking in the opposite direction because they are scared that they are going to get robbed, but the truth is, is that there is BEAUTY inside (and outside) these wonderful people. These are children who in many cases have escaped from their own families because they have been so badly abused that they see a life living on the streets as a better option. Children that take drugs in order to escape and forget about the numerous beatings and endless pain that they have experienced in their short lives. Another member of my team told me that one time they were sitting talking to a child and they said to them, did you know that you are loved. The child responded, ninguém me ama porque eu sou lixo (No one loves me because I’m trash). The truth is that none of these children are trash in the eyes of God. They are not loved any less than me, or you, or anyone. Jesus died for them, just like he died for me. Michelangelo saw potential in that block of marble that had been rejected by the world, just like God values each and every single child that I have worked with. AP.COM (pronounced ah pay punto com) is the name of the church plant where I work every Thursday and Friday. 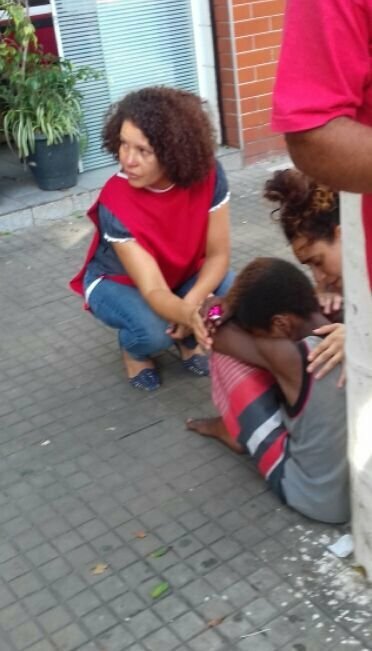 All of the children that attend the project live in the comunidade (community/favela) across the road and are very underprivileged. The children are precious and I love every single one of them. My heart sings with joy every time I get to go there because their little smiles are the most wonderful thing. Every Thursday, I help with school reinforcement classes which are there to help give the kids a helping hand with their education so that they don’t fall behind in school. I also assist my mentor Verna with an art class that she is teaching (which is hilarious because I am the least artistic person in the world) but Verna says that if she can teach me how to do the craft, she will have no problem teaching the children!! On Friday’s, I teach a music class and also teach the youngest class of 3-7 year olds in Kids Church (which has its challenges). The project didn’t have any musical instruments so I had to improvise slightly for the first few weeks of the music course, however at the end of last week, a family on the other side of the city contacted Verna to see if she could make use of an electric piano in any of the work that she is doing and she obviously jumped at the opportunity. So, I think from this week on the music class will be much easier to plan and carry out. Last week the class was…well…interesting. Two of the girls decided to bring along their 3-year-old brother (who was crying because he had a sore stomach). He subsequently vomited all over the bathroom, meanwhile another child from the project (who wasn’t registered for the class) stood outside the gate pushing the buzzer for 2 HOURS wanting to get in. Then at the end he was standing with a rock ready to throw it at the girls who were leaving, so honestly things can only go up from last week. All aspects of the work that I am doing in Brazil are significantly harder than what I did in Spain. Mostly because in Spain, I didn’t really do anything other than play with kids while speaking in English. Here, I don’t speak any English in work, so any classes I have to give, are given in Portuguese…which obviously makes things significantly harder. So many other things that have happened these last couple of months so it would be impossible to list all of them but I’m going to bullet point a few of my highlights. I got the opportunity to stay with two separate families from my church for a couple of days each which was amazing as it allowed me to be fully immersed in Portuguese, as well as getting to know them better. I have tried SO MANY new kinds of food. Brazil has everything. I’ve eaten traditional Chinese food, Japanese food, Arabian food, Peruvian food (AMAZING) and of course Brazilian food. Every single thing I have eaten here has been incredible. I got the opportunity to go to an English-Speaking Church for Easter Sunday which was such a blessing. Also, three out of eight of the songs were written by Northern Irish people so that was cool. On Saturday past, I went to help my friends Joyce and Emerson at their project because they were having an Easter party and it was one of the highlights of my time so far. We went to collect the children to bring them to the party, which meant walking through a favela (my first experience) and it was such a heart-warming experience seeing how excited the kids were for the event and how well they responded to everything. God is SO GOOD. I’ve been playing/singing in the worship band in my church 2/3 times a month which is so exciting. I love that this church has put their trust in me and has faith in my abilities, as it is something I really missed doing when I was in Madrid. I’ve had a lovely two months living with Verna, but I THINK (!!!!) that this weekend I will be moving out of this little flat and into my host family’s house so that will be interesting. I think I’ve got a little bit too comfortable here so I’m ready for an exciting new change. The last few posts, I have included a song that has been on my heart so I thought I'd continue with the tradition. This time around, it is the turn of God of Justice by Tim Hughes. It is a truly beautiful song with incredible lyrics detailing how we are being called to GO. Give it a listen if you so wish. I am not alone. I am not alone. You will go before me. You will never leave me. You amaze me, redeem me, you call me as your own. You’re my strength and my defender, you’re my refuge in the storm. Through these trials you’ve ALWAYS been faithful. You bring healing to my soul. Being here in Brazil, nearly 6000 miles from my family, I assumed that I was going to feel a very profound sense of loneliness. However, I can HONESTLY say, that in no moment of my short time here have I felt even the tiniest bit lonely. So much so, that I have already proved how terrible I am at keeping in touch with people back home because I simply forget that people are worrying about me (because I am actually worry-free for the first time in a long time.) But yes, sorry family, I promise I’ll try harder to stay in touch – you know I love you all more than I can put into words. I couldn’t have come to Brazil at a better time, because I arrived at the start of ‘Carnaval’, meaning that São Paulo was apparently very quiet (?????) because everyone had headed to the beach to make the most of the 30oC heat. If these last few days have been ‘quiet’, I’m slightly terrified for what public transport is going to be like for the rest of my time here. Carnaval has also meant that I haven’t officially started work, which has allowed me the guts of a week to get orientated to life in Brazil. Verna (my mentor) has been quite possibly the biggest blessing of my time so far. Her home cooked meals, chats, laughs, constant prayers and Brazilian culture lessons (including how to wash the dishes because it’s really different and specific method here) have been exactly what I’ve needed to help me settle into this wonderful country. I have been living with her since I arrived in Brazil, but will be moving out on Sunday/Monday to move in with my host family which is scary but super exciting. Despite the fact that I haven’t started work at the projects, I have got the chance to meet several of the other Brazilian volunteers I will be working alongside and they have welcomed me in as one of their own. On Tuesday, we had our own pancake day, 'Brazil-style', with some of the volunteers from one of the street teams and I haven’t laughed as much in a long time. We planned to go for a civilised walk in the nearby park and ended up jumping on trampolines made out of old tyres like a bunch of children and then when we returned to the flat, we had a little sing-song (which of course also meant the flute came out) while we waited for the pancakes to be ready. It turns out, Brazilians are even worse than Spanish speakers when it comes to pronouncing my name. So, I think my name here is going to be Kate (pronounced Kay-che) but I have just been telling everyone to call me whatever they want because I’ll answer to anything. My favourite moment of my time here in Brazil had to be on Wednesday. Two precious little children and their mummy came over to the flat and I spent the morning occupying the kids, playing the guitar, watching frozen and ratatouille and dancing to ‘Meu Deus é um Deus Grandão’ (Our God is a Great Big God). The six-year-old boy is now my new best friend and he said that he is going to come home to live with me because he really wants to live in Ireland! However, on the metro, Verna and I were discussing with the mum and kids about how I needed to come up with a new name because mine is just too difficult, and so my new best friend out of nowhere announced that my new name should be Priscilla. I’m not entirely sure where Priscilla came from but we did laugh for a good while about it. As for the Portuguese, communication is definitely happening. It’s quite hard to come from Spain, where I was more than confident about chatting away in Spanish, to Brazil, where I am stumbling my way through conversations but I know this is going to get easier as time goes on. Verna has set me some (unachievable) goals for my time here to challenge me, including finishing 6 Portuguese books in 6 months as well as the entire New Testament in Portuguese so if you can’t get hold of me, I am probably trapped in my room reading. Sending my love to everyone back home, and please don’t worry about me. I am being very well looked after here and hope to be in touch soon. 9) Goodbyes are hard...like...really hard. I thought this all would have been easier second time around but it turns out that the prospect of moving nearly 6000 miles away from my family makes the whole process even tougher. People keep asking me if I’m excited to go to Brazil, and of course I am...but it’s a strange type of excited. In the midst of the sadness of saying goodbye, it is hard to feel “outwardly excited”. If a word existed which was a hybrid of nervous and excited then that would describe what I’m feeling exactly. When I went to Spain, it was easy. I had been to Spain countless times, I had already been to Madrid and I was fairly confident about the level of Spanish that I had. With Brazil, everything is different. I’ve never been to South America, I’m not 100% confident with my Portuguese and it’s even hard to imagine what will it be like living in country that I have only really read or heard about through university and the news. Despite all these fears, there is one thing that gets me through. Knowing that this is all part of a bigger plan is the most comforting thing. The verse John 20:21 keeps coming up time and time again. It was one of the main verses used at our Latin Link training weekend back in June last year, and was also prayed over me during my time in Madrid. It’s a verse that I had never really given much thought before, but I know that it has given me strength these last few weeks in particular. Here are a couple of things that I have learned while processing this passage during this last while..
Jesus hungered to do not what he wanted, but rather what the Father wanted. Jesus was SENT, not to please himself, but to please His father. He was SENT into the world to represent God, and so that when people saw Him, they would see the Father. Jesus could do nothing apart from God, he was totally dependent on his Father. He wasn’t SENT with his own words and doctrine, he was SENT with the teachings of God. Jesus was not alone, because his sender always went with him. Jesus was BUSY doing the work he was SENT to do, and when his work was finally done, he went home to be with God. John 20:21 says, ‘as the Father has sent me, I am sending you’. So that got me thinking, if all these things are true for Jesus, does that mean they are true for me? So I ask, if you pray, can you please pray over these things for me? Pray that I will know that I am not going to Brazil to do my own work, but rather the work God has planned and sent me to do. That in everything I do, I would seek not to please myself, but to please God. That I would know that ultimately, nothing I do in Brazil will be possible without God and that I will seek Him in everything I do. That I will be able to cover myself with biblical truths that will clothe me with strength. That even though I am going to the other side of the world, I will know that I am never alone. And finally, that even in the midst of all the work I am doing in Brazil, that I will never feel overwhelmed. Brazil, I am on my way. 7) I think I'm allergic to Spain.. So, it has been approximately 31739247 years since I wrote my last blog post…apologies. Since my last update, I have been a very, very busy bee. In this last month, I lost my voice for a second time (this time it was ONLY for 5 days thankfully), I had full blown flu which wiped me out for several days and I also was infected by the little darlings that I teach and ended up with a delightful stomach bug. I am now convinced that I am allergic to Spain or else it just has a vendetta against me for some unknown reason. I can’t possibly talk about everything that has happened in the last month because I would be here until next Christmas! So, I’m just going to mention a couple of my highlights from the last load of weeks. Family visiting has definitely been one of the nicest things from the last wee while. Although I’m not really feeling overly homesick, it has been great to spend time with people from back home. At the end of October, my mum, dad and not-so-little brother Josh were over, and we had the best long weekend catching up and exploring my new home. I moved into their flat for the week because at that point we still didn’t have WiFi – so that was a definite plus. We laughed a lot and I feel so joyful inside because mum and dad have been beyond supportive during my time away, and it just makes the whole experience that bit easier. Last weekend Granny and John also came out to visit me which was great. We didn’t do as much exploring of the city as I did with my parents, however, we did do a coffee shop crawl of Madrid over the weekend and ate a lot of very good food! Second on the list would have to be the evening that I went to see Addams Family the musical in Madrid. Oh, and SHOCK HORROR…I went to see it on my own. My friends here were absolutely horrified that I went to see a musical on my own, but I really wanted to go and see it, so I went. I actually went on Halloween night and a lot of the audience had dressed up so that was amusing. The musical was incredible, and I actually understood pretty much everything (except the Spanish cultural and political references they had added in to get some laughs). On the 1st November in the evening I was due to be tutoring, however since it was a national holiday it was cancelled! Therefore, I ended up getting the opportunity to go to see a series of films in a planetarium here in Madrid with my friend Andres. I had only been to one planetarium before that in my life but they are very cool places and space is an incredible thing. It was a real test of my Spanish, as the film was talking about dark matter and black holes…to be honest I probably wouldn’t have understood if it was in English never mind Spanish, but I had a fabulous night nonetheless. Number four on the list is the night I had an international dinner with some of my church friends. We all brought a typical dish from our country to share (I brought fifteens of course) but other foods there on the night included Venezuelan tequeños, tortilla española, Mexican chilaquiles, Australian sausage rolls (which did result in a debate about whether sausage rolls are British or Australian), Venezuelan torta tres leches and gofio from the Canary Islands. A great night was had all round and resulted in us teaching the Spanish speakers how to play the game fishbowl, which turned out to be a great laugh. Next on the list was my day out in casa de campo with my flatmates. It is very rare that we all go out exploring together and so the time spent with them was precious. None of us had ever been to casa de campo before but it was just beautiful, and is the backdrop of my new profile picture on facebook. We planned to go on the cable car but after climbing to the top of the hill, we were told it was “too windy” and that it wasn’t running which was a disappointment. We ended the day of exploring with a viewing of the little mermaid in Spanish which was even more magical than the English version. I’ve said it before, and I will say it again a thousand times over. Sundays are always my favourite day of the week, because spontaneous plans are the best things ever. One Sunday after Church, we went to Tierra (which does a great burrito – however boojum is still better!!) and after that we went to Palacio Cibeles to explore and ended up in the most bizarre exhibition inside. Another great Sunday was actually a Sunday when I had no voice and the beginnings of the flu. We headed to dominoes after church, but dominoes is incredible here in Spain. €7 for bottomless pizza and drinks! You just keep ordering large pizzas until you burst – which we all did!! After the pizza, we went to the temple of debod for sunset and finished the day with a walk along the Manzanares river in search of the swings. I left my house that morning before 10am and didn’t return until 10:30pm…which probably wasn’t the wisest when I was ill, but fun comes before health haha! Seventh on the list has to be the fact that I have had several visitors this month from university! Leanne was here at the start of the month (whilst I had no voice) and had the patience of a saint and didn’t laugh too hard at my misfortune which was great. Then two weekends ago, Elena, Lucy-Jane and Genevieve from my Portuguese class came to Madrid and it was a fantastic weekend. I think they were slightly overwhelmed by the amount of people here in Madrid in comparison to where they are located for their year abroad placements. My granny said the same thing when she was here. I think I must just be immune to the busy streets now…which is a good thing I guess because São Paulo is going to be even busier!! Yesterday evening was just a lovely night and definitely one of my highlights from the last while. Kerry, Oriana wandered the streets for a long time trying to figure out what to do. Eventually Oriana suggested we go bowling, and so we went to the whole way to the bowling alleys, only to discover the waiting list was 50 minutes long. So, we admitted defeat and headed back to the centre of Madrid to get something to eat. We ended up in a restaurant called La Tita and ate burritos, which were nice, but sadly had bits of uncooked rice inside that nearly broke my teeth (definitely wouldn’t happen in boojum!) We spent the whole evening laughing and Oriana was teaching Kerry and I some classic Venezuelan phrases, and we offered our delightful Norn Irish phrases in return. This last while has resulted in my friendships deepening and I am already dreading having to say goodbye to everyone when I leave Spain in January. I have been so blessed by the people that have been placed around me here in Madrid, and the lovely people back home who keep me going!! I distinctly remember one night at a youth event in Newtownards last year, when I had an absolute meltdown about how I wasn't going to make any friends when I was abroad. I can now safely say that all the tears were wasted and that I am TRULY happy. "Blessed is she who has believed that the Lord would fulfil his promises to her!" 5) Over one month in Madrid!? Apologies for the crazy delay in posting another blog post! I've been insanely busy this last while and so I haven't even thought about writing another post. My time here in Spain has literally FLOWN. I have now officially been here for a month, and I can safely say that even despite the crazy number of unfortunate events that I have faced here since my arrival, I am loving life. Another misfortune to add the list was that I received an email from Ryanair last week to tell me that my flight had been cancelled to bring me home for Christmas - so I guess I'm spending Christmas here in Madrid🙃 joking, THANKFULLY I managed to get transferred onto another Ryanair flight...but knowing my luck, that will probably get cancelled as well! Two weeks ago, Suzanne Potter (my short-term coordinator from Guatemala) stayed over at our flat for the evening before she headed back to the country we both know and love. It was great to reminisce about Guatemala and find out about her plans for the next few months. I also discovered there is a Latin Link family based in Madrid only about 20 minutes from me on the metro so I'll hopefully get to meet up with them at some point before I go! Last weekend, Molly, Anna and I went to Segovia and I had the BEST time. Segovia is such a special place. And no, it isn't the made up country from the Princess Diaries!! The weekend before, I went to Toledo, and whilst I admire its architectural and vast artistic riches, its spectacular setting and its fascinating history of three cultures/religions living together for centuries in relative harmony, I absolutely adored Segovia. It is also situated in the autonomous region of Castile y León - a new region to tick off my list!✅ The absolute highlights were without a doubt the incredible Roman Aqueduct, the Segovia Cathedral and the Alcázar of Segovia (which is the Royal Palace) oh also not forgetting the incredible Paella I had for lunch...yummmm! Last Sunday I managed to gatecrash ANOTHER birthday party...this is clearly what I do best here in Spain! We went to a little food place called 100 Montaditos where everything on the menu is only €1! After that we went to plaza mayor, which is a big square in the centre of Madrid. That particular weekend was the 400th anniversary of the square and so they had grass rolled out for the occasion. The atmosphere was simply incredible and it was a really lovely day. After plaza mayor, I went to Retiro with my two of my friends from church called Oriana and Matthew who are from Venezuela and Peru, and we spent all evening trying to find a swing... Retiro is 1.4km2 and I'm pretty sure that we walked the entire park and I'm convinced that said swing does not exist. It was a great night nonetheless and I got to see the most beautiful sunset! Last week, I started tutoring three siblings that go to SEK. I have to tutor the youngest child in English and Maths (!!!) explaining maths in English is hard enough, but I have to teach her in Spanish so that complicates things massively. With the older two children, all I have to do is chat to them in English so that is good fun because they know a lot of English so we can just talk about anything and everything. The talks were all very long...like one hour plus...which is longer than my entire church service at home! The speaker spoke incredibly quickly and therefore I genuinely struggled to follow the talks from start to finish. I was able to take things from each of the talks, but I wasn't able to see the "full picture". On the Sunday morning I understood every single word (except for the jokes...I don't think I will ever understand Spanish humour) and the talk blessed me massively. It was exactly what I needed to hear at that moment. These last few weeks I have been thanking God for friendship, fellowship and an abundance of opportunities. I am being challenged more than ever before and pushed harder than I thought I would be able to cope with. Despite all the craziness and the horrendous stoke of luck we have had here in Madrid, I wouldn't change a single thing. My life is incredible right now. I keep thinking to myself "am I homesick?" And if I am being totally honest, I don't think I am. OF COURSE I miss my family and friends but those feelings aren't as prominent because of the incredible network of support that I have been provided with during my time here. I've been receiving random texts and messages from people back home just checking in on me and it is these little messages that remind me how much I am loved and cared for. I want to finish this blog with the lyrics of one of the last songs we sang at the church weekend. The entire church sang the incredible lyrics of an old Spanish hymn and the words seemed so relevant, especially for the second half of my year abroad. Llevaré tu gloria a las naciones"
It's been a week since I uploaded my last blog post...and there is a reason for that. Sadly this week, my flat got burgled and my MacBook was stolen as well as an iPad and another laptop both belonging to my flatmates. We are obviously pretty shaken up by this. On Friday, we had to spend most of the morning at the police station giving a formal statement of what had been taken, and after that the police sent their forensics team out to the flat to dust for fingerprints. Obviously, this is a pretty horrendous situation but we are feeling lucky because we know it could have been a lot worse. We were not in the flat when the burglary took place and we are all still alive and well. Apart from that little hiccup, this last week has been mostly great. Last Saturday evening, I went to a young adults BBQ run by the youth group in my new church and it was such a lovely evening spent with great company. On the Sunday, I went to church in the morning again and afterwards, I accidentally ended up gatecrashing a 24th birthday party...which was awkward at first, but turned out to be a great day. This week, the demonstrations for the extracurricular activities began, and the first of those was music (which was right up my street). There were two violin teachers, a piano teacher and a drummer who were demonstrating their instruments to try and encourage the children to take up music lessons. At the end they played "Despacito" and it was the highlight of my week, as all the children were singing along - it was simply precious! Today, I went on a day trip to Toledo, which is in the region of Castilla La Mancha (another region of Spain ticked off my list!) I went with my two flatmates Molly and Anna, as well as Anna's boyfriend Naief who is over visiting for the weekend. The best part of the trip was that it was completely free thanks to the fabulous Madrid transport card! Toledo was just beautiful, and it felt like the "real Spain". Such a massive contrast to the city life we have experienced so far in Madrid. The tiny cobbled streets, the breathtaking views and the wealth of culture around every corner. I even managed to walk part of the "Ruta de Don Quijote", which led to the most amazing viewpoint of the city! Would you believe that we still don't have Wi-Fi!? I hate to rhyme on about this so much because I know I sound like such a millennial...BUT, it's been almost three weeks and it is really hard to survive without it in this day and age. I was told to stay home from school on Wednesday to wait for the internet technician to come, but he didn't show up. Apparently it will be installed this week...but as you can imagine, I don't have very high hopes for this. I am so frustrated about the burglary because it really put a dampener on such a great week. I'm really trying not to let it ruin it though. One of the perks was that we got a three day weekend 🙌🏼 I feel like my Spanish (and my emotions) have been tested and pushed to the limits more than ever before. In a way, I am thankful that this has happened, because I know now how to report a crime, file a report and make an insurance claim...IN SPANISH. Surely that means it will be a lot easier in English if I ever get into trouble in the future!? Honestly, do not worry about me!!! Madrid is a lovely place and I am loving every minute of it. I am surrounded by lovely people, and I'm not going to let stupid thieves ruin my time here. Laptops can be replaced. Hopefully this will be the end of the dramatic blog posts and thank you so much for journeying with me.